When you start to teach your child the Alphabet there are a number of quality early childhood books that can help you in this task. Setting up a box of Alphabet books is a super practical idea to encourage your baby, toddler and preschooler to learn the alphabet. An ABC board book with a twist! Each letter is represented with one large object (Apple) and the text provides both uppercase and lowercase letters (A is for apple). Also, in the illustrations are smaller objects begin with that same letter and an object that introduces the next letter. 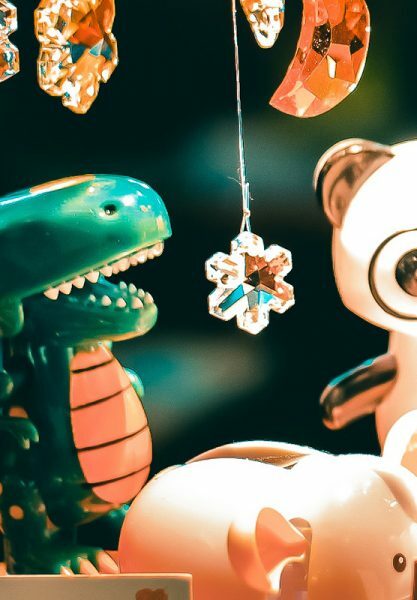 This gives the audience an opportunity to expand their vocabulary by finding or having the objects pointed out to them. The board book also has a wordless narrative within the illustrations. Available here. 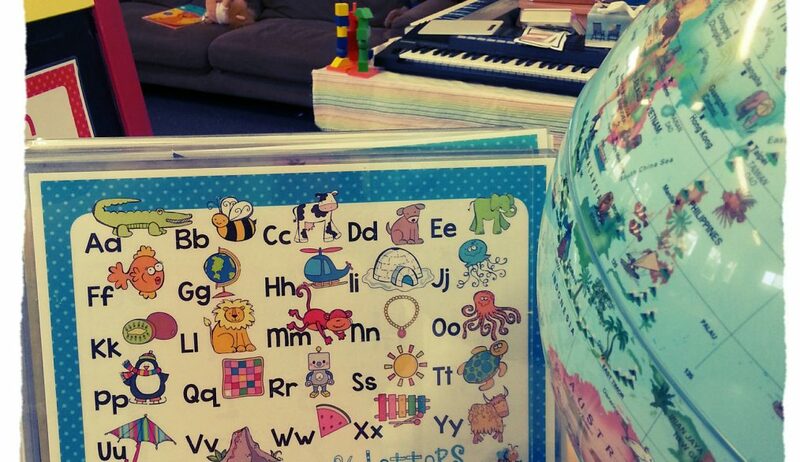 Reciting the alphabet song is a big deal for toddlers; by the time children get to kindergarten singing the alphabets are mastered by almost every child. Eating the Alphabets (Fruits &Vegetables from A to Z) by Lois Ehlert includes 30 pages that provide her readers with more than one fruit or vegetable for every letter in the alphabet. Some of the edibles are known and others are not as familiar; as a result the book contains a glossary that give details about every fruit and vegetable listed in the book. The bright and colorful illustrations are used as an attention grabber for students; it helps keep them focus. Available here. The Alphabet Tree is a picture book about various letters that lived on tree leaves. When the wind would come the letters would get blown away because they were by themselves. Then, a “Word-Bee” then explained to the letters that they can create words by getting together and would not get blown off. In the end a caterpillar came and told the letters that they can all make something meaningful if they put the letters together. Available here. The 26 characters in this rhythmic, rhyming baby book are a lowercase alphabet with attitude. “A told b, and b told c, ‘I’ll meet you at the top of the coconut tree'”–which probably seemed like a good idea until the other 23 members of the gang decided to follow suit. Lois Ehlert’s chunky block illustrations show the luxuriant green palm standing straight and tall on the first page, but it begins to groan and bend under its alphabetical burden. First the coconuts fall off, then (“Chicka chicka… BOOM! BOOM!”) all the letters also end up in a big heap underneath. A very simple board-book version stops there, but this original text goes on to introduce the helping hands of the 26 uppercase “mamas and papas and uncles and aunts.” Available here. Alphabet Under Construction by Denise Fleming shows a little mouse constructing the alphabet. Mouse constructs each letter of the alphabet. His efforts include airbrushing, carving, dyeing, folding, kinking, nailing, pruning, quilting, sawing, tiling, welding, and zipping. The short, clever text mainly uses three words per page. A large font is used with each letter of the alphabet in a larger, bolder font. Interesting vocabulary choices featuring verbs make this book challenging and fun. Available here. Bestselling writer Audrey Wood and her artist son Bruce Wood team up to present an alphabet book in this popular series. Now the little letters build a fire truck and save the day! Engaging alphabet books are perennial bestsellers with unlimited demand, and so are books about fire trucks. This splendid book is a surefire winner! As in their previous collaborations, the Woods bring lowercase letters to life in a fun adventure that is sure to have children learning their alphabet without even realizing they are studying. In this action-packed adventure, we witness the lowercase letters as they save the day and the uppercase letters. Riding in a fire truck they fixed themselves, these lowercase letters become heroes with fire hoses! Available here. 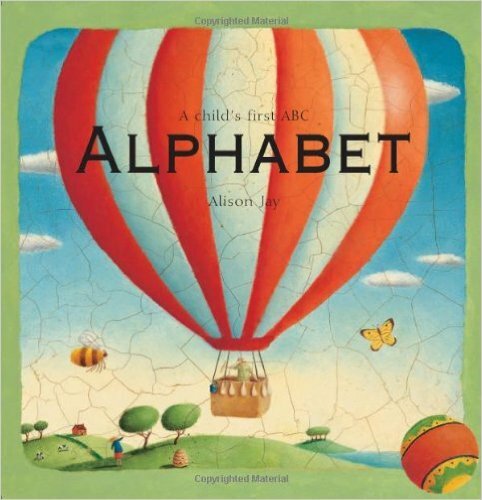 This is a unique look at the alphabet and friendship in a chunky board-book format. This very simple text is about two friends, Sue and Nick, who like very different things but are still best friends. They take us through their all favourite things from A all the way to Z. The artwork is stunning with each artist contributing alternate pages in their own inimitable style. The deceptively simple text is perfect for children learning to read. Available here.